Thank you for bringing your beautiful choir to our church again. Everyone loves listening to you! When and where did it all start? Gwen Stumman started the first class of the group that eventually named themselves Pacificaires in September of 1976. Eighteen people were at the first continuing education class held at the Pacific Beach Methodist Church on Thursday mornings. The first accompanist for the group was her son Robbie. About 4 months later Gwen got a call from the Dean at the school and asked her if she could take on another group. There was a group, also 18 people, who were meeting at the First Presbyterian Church on Date Street downtown and they needed a director. 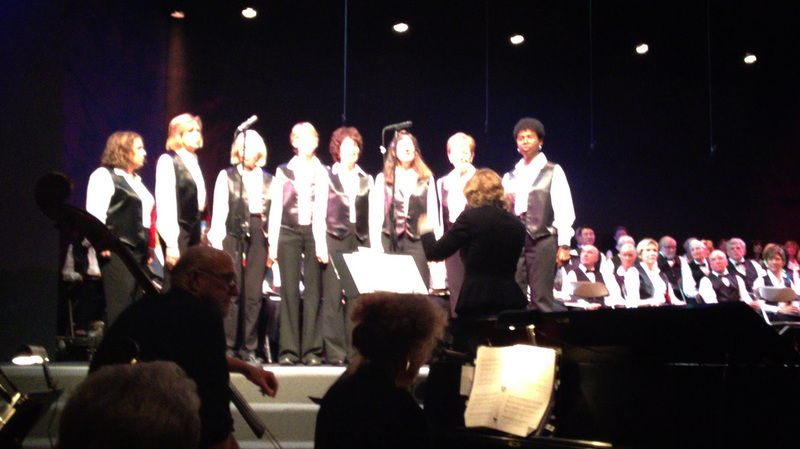 They became the Cedar Community Singers, later known just as Cedar Center Chorus. 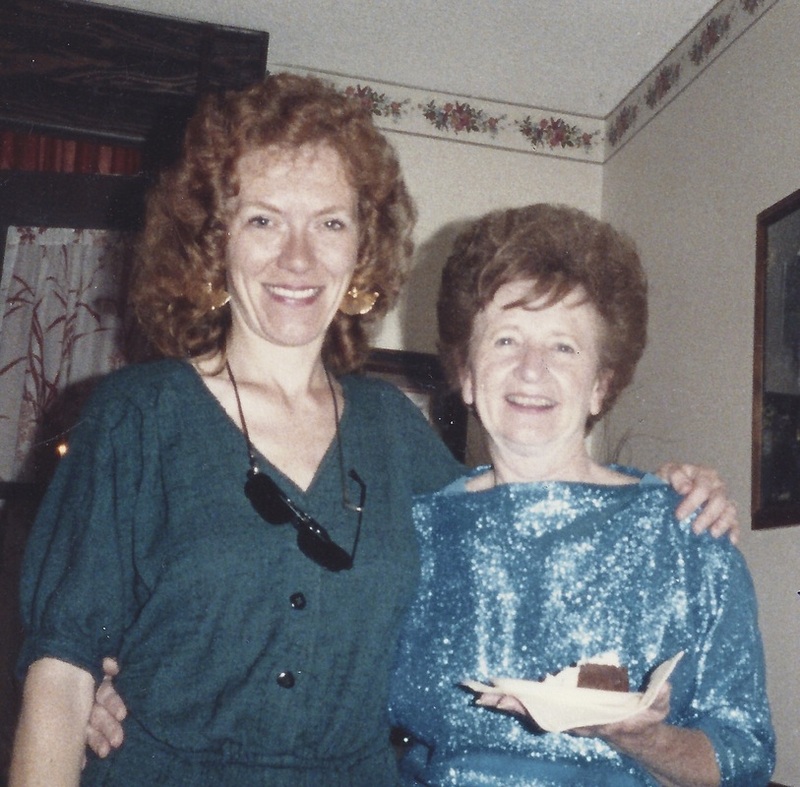 The first accompanist for Cedar Center was Ruth Smith. Thus began a 25 year journey for Gwen and her choirs. Stewart’s wife Vicki Heins-Shaw, a very accomplished pianist who also for many years has been the heart and soul of the La Jolla Symphony and Chorus, was the accompanist for the Pacificaires from 1978 until 2014. The groups have been fortunate to have many talented accompanists. After Vicki retired in May, 2014, Stewart Simon began in September, 2014, and continues. Among the Cedar Center accompanists under Gwen were Ruth Smith, Vicki, Margaret Mattis, Pat Stender and Connie Almond. Through the years both choirs grew and by 2001 when she retired, well over 100 singers made up the combined choirs. After she retired in 2001 she thought she might be done but after realizing how much she missed it she called up the Dean and started her Music Appreciation class again, for another 11 years. When Gwen retired the reins of the two choirs was given to Jackie Burson. Jackie had both choirs for three years and when her dream job, head director at the San Carlos United Methodist Church, was offered, she couldn’t resist and turned over both choirs and another performance class, the Noteables. They did a choral exchange with The Fisher Singers from Harrogate, England in 2012. They have performed in New York City twice: Once in Lincoln Center in, Avery Fisher Hall in 2012 singing The Messiah; and once at Carnegie Hall in The World Beloved, in 2014, both concerts facilitated by Manhattan Concert Productions with about 200 singers from around the country. It was a wonderful experience to rehearse intensively and then perform large works with world-class conductors in such respected venues. In November of 2015, members of the groups traveled to Oahu as the first step in an exchange with the Windward Choral Society Singers. 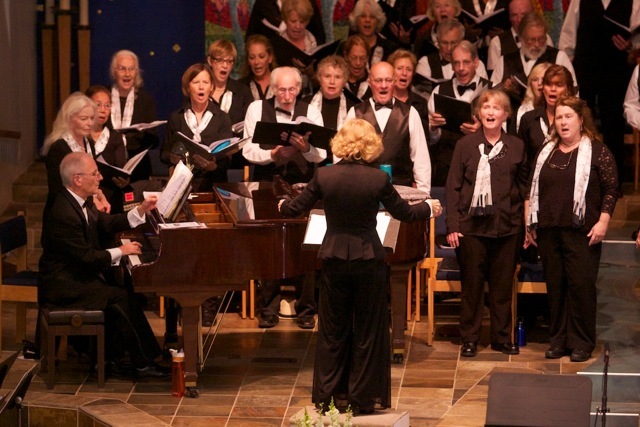 Through the years the choir has used many local venues to showcase their music. All the way from Pacific Beach Middle School to Sherwood Hall in La Jolla, the performance center at UCSD, Shiley Hall on the USD campus. They have sung in churches large and small, community centers and independent living centers. It’s hard to estimate how many people have listened to a concert of the Pacificaires and Cedar Center Choruses since 1976. The directors, accompanists and singers all just know what a thrill it is to be a part of this great choral experience. And then along came Minnie. In the mid-eighties a feisty little 95 year lady by the name of Minnie Swanson was wheeled into a Cedar Center rehearsal by her attendant Judith. 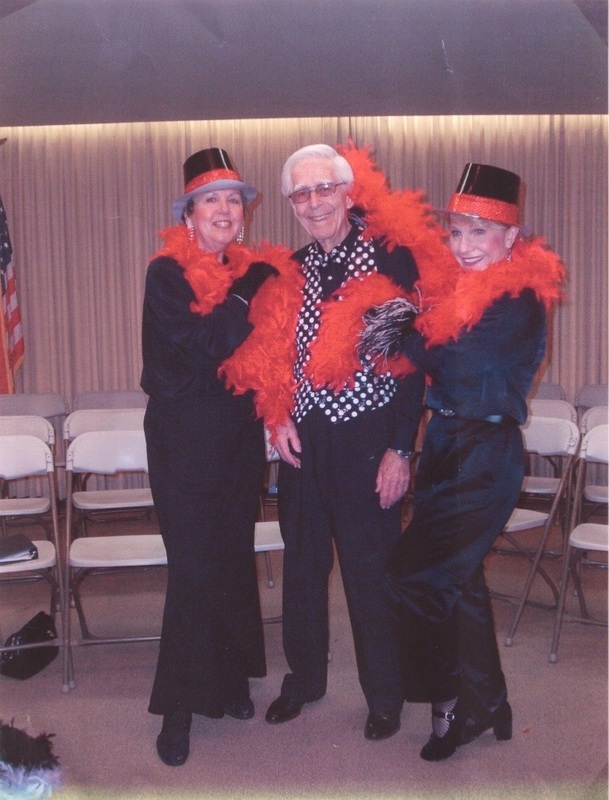 Both became members of the choir and a couple of years later Minnie passed away. Gwen got a call from Judith and she said that the choir had just been given a sum of money from Minnie’s estate. Gwen thought, wow maybe we will get a few hundred dollars to help defray some of the costs of music, rentals, etc. Later she found out that the bequest was a six-figure sum of money. In the early nineties Gwen arranged and conducted the ‘Cultural Arts Festival’, an opportunity for students involved in singing, art, painting and other creative arts to display their talents. It was held annually at Balboa Park and later the name was changed to the ‘Minnie Swanson Music Festival. The event lasted in some form until 2005. Over the years it was managed by Cynthia Hansen and Stewart Shaw. Taking over from Jackie was Eunice Williams, the current director for both choruses and the Noteables. You can view her bio at http://www.pacificaires.org/leadership.html . Eunice has been instrumental in keeping the spirit alive and vibrant. The choirs today still total almost 140 members each semester and she has added a small 7 piece instrumental ensemble to accompany the chorus at their large venue concerts. Cedar Center has had Naomi Hobbs, Lorea Herald and now Pat Cox serve as accompanists under Eunice. Also she has made the choruses a traveling road show. They did a choral exchange with L’Esterelenco in 2007-2008, a French choir that will be celebrating their 50th anniversary in 2016. They have been asked to return to France for the 50th anniversary celebration event.